In terms of tone, it is no surprise that author Paul Margs seems to have a tone all of his own. He always uses every minute of the production to inject his stories with atmosphere, comedy and some poignant real-world parallels. However, with the shorter run-time of The Eighth Doctor Adventures, Margs made the right decision in sticking to a more traditional Who story, though it is one which manages to make the most of each character in it and helped to cement the range as the great one it was, mixing stylings from the classic series with the new one. Given the title, it won't come as a surprise that it makes a parallel to the underappreciated Fourth Doctor story, Horror of Fang Rock. This is also a story which sees a group of people trapped in one location, being killed off one-by-one by a predator outside. But the glam rock and 1970s setting of this story give Margs' script a life of its own. 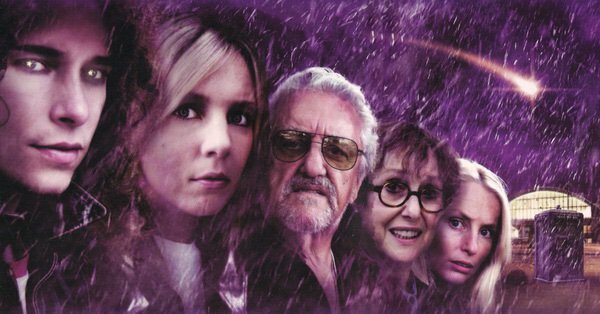 The synopsis on the Big Finish story might sound a little out there and whacky, but what makes Horror of Glam Rock work is the stunning performances from the main and guest cast. This gives the story a more grounded feel, even when the strangeness really begins to take off. It was also nice to hear the releationship between the Eighth Doctor and Lucie Miller develop and Paul McGann and Sheridan Smith, continued to impress me in their roles both seperately and together. It is also nice to hear the Eighth Doctor calm down following his grim determination with the Daleks in the previous two stories. We've also got Bernard Cribbins who gives us a truely mesmerising performance as a slight dodgy agent to two glam rock personalities. What was also a highlight was seeing the story delving deeply into the past of the companion this early on, with the introduction of Lucie's Antie Pat and it also adds some dramatic tension to the proceedings. Margs' manages to keep us guessing as to who might be killed next and it is clear to us and Lucie that it might be Auntie Pat who could bite the dust.